Nowadays, Internet has totally changed our lifestyle, and we can have the power to watch TV shows and Movies whenever we want to. Also, many revolutionary devices like iPad, iPhone make the task easier by developing great apps to watch TV shows and movies. 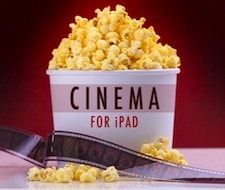 Moreover, if you are a movie or television fanatic, then the iPad is the ideal device for you. Apple iPad is a beautiful device with a big screen, long battery life, high-resolution display that makes it a great medium for watching videos. However, lack of storage capability in iPad makes it difficult to store large video collections. Even, there is a limited possibility of online streaming due to no flash support. Still, lots of developers and companies figured this out and introduced lots of apps and sites that allows you to watch TV and Movies on your iPad. Some of the apps are available for free download while others are iPad-optimized sites that solve the purpose of watching videos. So, in this article, I have researched and put together a comprehensive list of best free apps and websites that you can use to watch movies, TV shows, news, Kids Shows, educational shows, documentaries and much more. Note that some of the sites can only be viewed in some countries. Here’s the list of 16 best free apps and websites to watch TV shows and movies on your iPad. 1) Netflix : Get Netflix on your iPad, iPhone, or iPod touch. Just download this free app and you can instantly watch TV shows & movies streaming from Netflix. The app is free; the subscription, however, isn’t, and it’ll run you $9 a month. There’s a free 30-day trial, though, so you can evaluate whether you like it or not. 2) ABC Player : Watch your most loved ABC shows for free on the ABC.com Full Episode Player for the iPad! Watch full-length episodes of LOST, Grey’s Anatomy, Modern Family, Desperate Housewives and more. 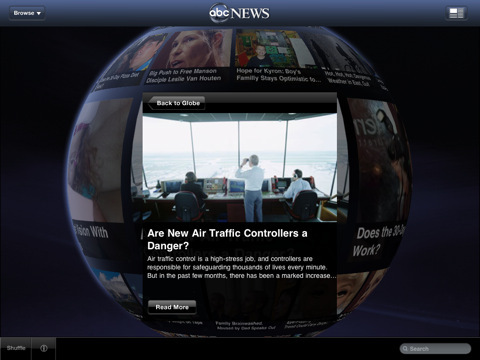 3) ABC News for Ipad : he ABC News interactive globe gives you a new way to dive deeper into the stories that matter most to you. Information Gets Interactive: SPIN the globe with a swipe of your finger. 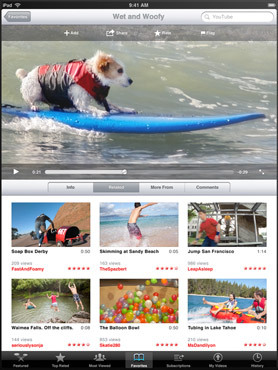 SHAKE your iPad to shuffle the articles and videos. TOUCH any image to read or watch the day’s news. 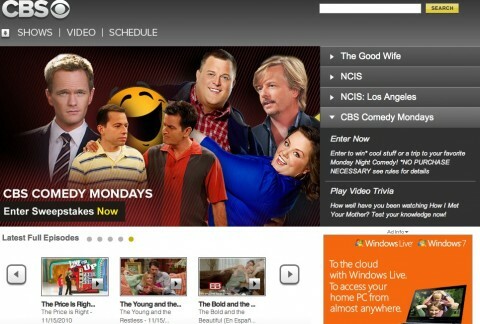 4) CBS : The CBS site is iPad-optimized, so you can watch episodes, clips and more right from Mobile Safari. 5) TBS : TBS already keeps you laughing at home with very funny shows like Tyler Perry’s House of Payne and Meet the Browns, Family Guy, The Office and more. Now, you’ll be giggling on the go! With the TBS application for iPhone or iPod Touch, you’ll be able to browse video clips and photo galleries from your favorite shows, and check the schedule so you will not miss a single hilarious moment. Plus, it is FREE! What are you waiting for? 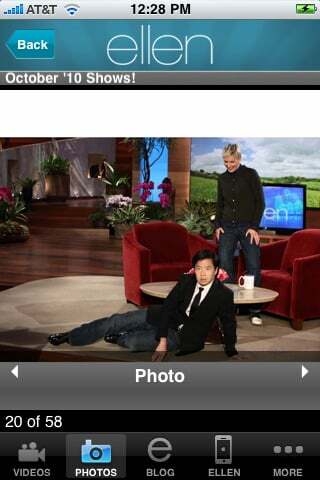 6) Ellen : Get everything Ellen in one convenient place, which is a lot better than inconvenient places. Watch her latest monolog, see clips and pics from the show, even read what Ellen is blogging! Moreover, you can even catch her latest tweets. It is apptastic! 7) Sony Pictures : Now you can have access to the latest trailers, movie info, showtimes and iTunes application downloads from Sony Pictures right at your fingertips. Watch HD trailers from upcoming Sony films, get US showtimes and tickets for movies through Fandango, see what’s available for film and TV shows released on iTunes, and play the hottest games like Wheel of Fortune, Jeopardy, and the upcoming trivia feature. 8 ) Joost : Get the latest videos at your fingertips with Joost. Watch the latest celebrity news and gossip, music videos, action sports, comedy and web originals – for free! 9) B – Movies : B-Movies is an app to browse the Internet Archive’s Moving Images library of free movies, films, and videos. 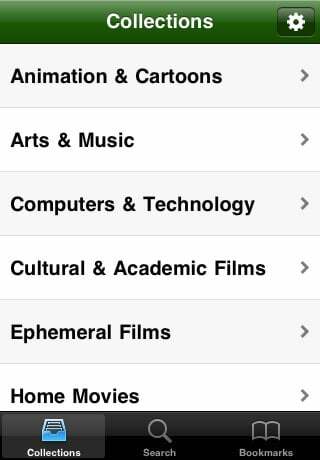 To browse the library, tap on one of the available several types of collections. Doing so will display all the sub-collections within that collection. Movies in sub-collections can be displayed according to their rating or by the date they were added to the collection. 10) Yahoo Entertainment : Get an interactive Program Guide that lets you plan your TV viewing, watch up-to-the-minute video, plus get handpicked news and entertainment with Yahoo!® Entertainment on your iPad. 11) YouTube : The YouTube app is designed specifically to take advantage of all the capabilities of iPad. The high-resolution screen makes YouTube videos look amazing, especially those in HD. Content is organized in a new way, so it is easy to navigate and watch. Tap what you want to see, and the video automatically appears full screen. Use your fingers to play, pause, and advance through a video. Turn iPad sideways and it plays in widescreen. 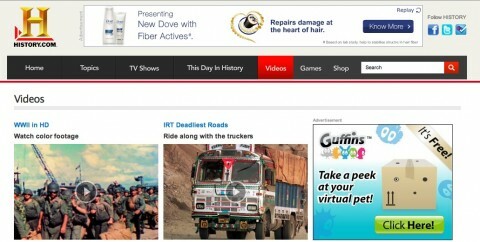 12) TVCatchup iPad : Fully optimized site for iPad to watch TV shows live as they are aired. This is only available in UK. 13) History Channel : I love the channel personally and their website provide lots of full episodes. 14) Muviez – Independent Movies HD : With a sleek and simple to navigate interface, MUVIEZ brings independent filmmaker’s content to the world. MUVIEZ, not only allows the viewer to stream content, but also download it for offline viewing. 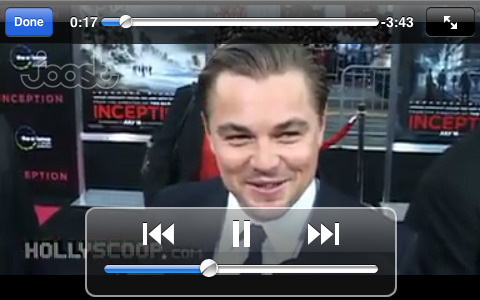 15) Tap TV : Stream hundreds of classic movies, cartoons, documentaries and more to your iPad for FREE. Quickly find what you are looking for with our excellent selection of channels. From Movies, Cartoons, Documentaries, App TV, Audiobooks, Magic TV, Best of YouTube™, Silent Classics – there is something for everyone. 16) NFB Films : As featured in a nation-wide marketing campaign by Apple, the NFB Films app allows you to watch over 1000 movies – documentaries, animations and feature films – free on your iPad. 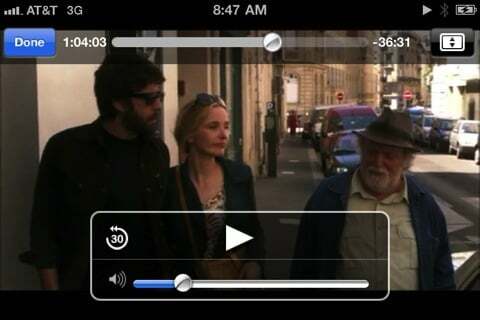 You can also store films on your iPad for up to 48 hours to watch when you are away from a WiFi zone. 17) Hulu : Hulu brings you instant access to all of your favorite shows, the hottest new series and great films, all in one place. Watch premium original series, full seasons of hit shows, current episodes, movies, kids shows, cartoons & more. Hulu has an amazing library of content including shows in HD from FOX, NBC, Disney, ABC, CBS, Comedy Central, Cartoon Network, PBS, FX, MTV & many more. 18) Crackle : Watch free movies and TV on your iPhone, iPod Touch and iPad. Break away with Crackle. Crackle is the destination to watch free TV, movies and exclusive originals. All free, anytime, anywhere and on any device. So escape the daily grind and recharge with your favorite comedy, drama and action entertainment. Crackle… break away. Added both and it’s not paid by anyone.